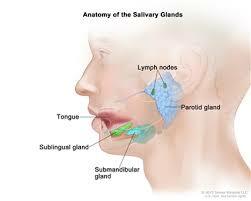 An experienced otolaryngologist, Dr. Frank Brettschneider has treated many conditions of the salivary glands. Dr. Frank Brettschneider provides both medical and surgical therapies for salivary stones and related conditions. The parotid, sublingual, and submandibular glands produce the saliva that people need to digest food and fight against tooth decay. However, a condition known as sialolithiasis can block these glands and interrupt the release of saliva. This occurs when salivary chemicals like calcium collect in the gland or duct and begin to form stones, which are not noticeable to the patient until they close off the duct and cause saliva to collect in the gland. As the saliva pools in the gland, the patient may feel intermittent pain. If the condition remains untreated, it may cause the gland to become infected or inflamed. When this happens, the patient may feel a lump or taste the drainage of pus into the mouth. Saliva-stimulating treatments or gentle massage may help to pass the stone in less severe cases, though some patients may require surgical removal of the stone from the gland.